Material: Shell fabric: 100% polyester. Lining: 100% polyester. Padding: 100% polyester. 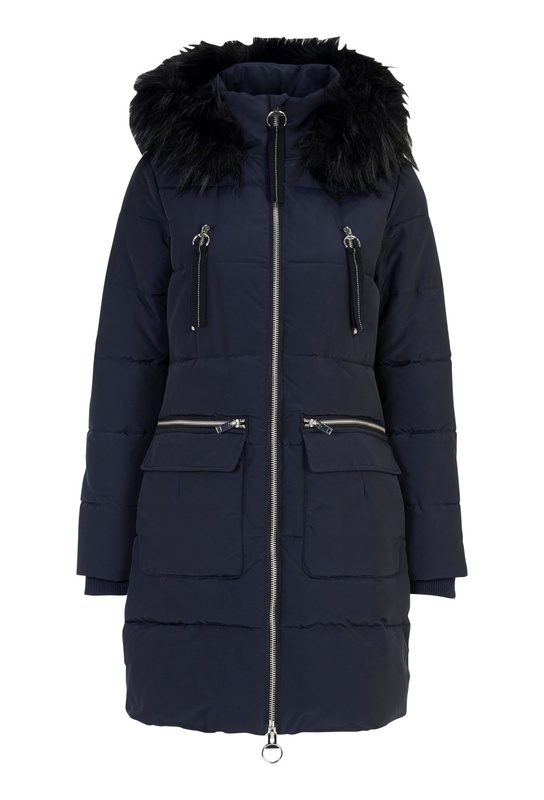 Padded parka jacket with pretty details from Happy Holly. Length from shoulder 90 cm, bust 106cm, sleeve length from shoulder seam 63cm in sizes 36/38. Tumble dry with tennis balls.